This week on #HCLDR, we are excited to welcome Matthew Katz (@subatomicdoc) and Patricia Anderson (@pfanderson) as guests. Matthew has been working on an interesting initiative called #HLTHTOP – where tweets and other resources are categorized so that it is easier for patients, caregivers, providers and researchers to find information. The initiative focuses on the use of tagging content via hashtags (something all of us who use Twitter are familiar with). The fact that Matt and Patricia are both involved in this initiative was reason enough to have me intrigued, but as I learned more, I started to see the exciting possibilities if a proper ontology was adopted. Imagine being able to use hashtags to reliably find trusted content on a particular disease? Or find others online with a similar condition? Or being able to see what topics are trending for a particular healthcare category? The good folks over at @Symplur are on board and have dedicated a page on their site to this initiative. There is also a G+ community for #HLTHTOP. Matthew wrote a great blog for #HCLDR this week (below) on the topic of disclosures on tweetchats. CT: What’s one thing you learned tonight that you will bring into your area of expertise to help a patient tomorrow? Please join us on Tuesday November 19, 2013 at 8:30pm Eastern Time for our weekly #hcldr tweetchat. Twitter is an open platform for rich, real-time conversations that can span the globe. Tweetups, or tweet chats, offer an opportunity to share information, network, and enhance advocacy for improving healthcare. But are there caveats in the dynamics of our online conversations? The Centers for Medicare & Medicaid Services has implemented the Sunshine Act to provide transparency in financial relationships that may influence health care. It is designed to ensure that monetary interests don’t unduly influence decision-making, trials, education or regulatory approval. 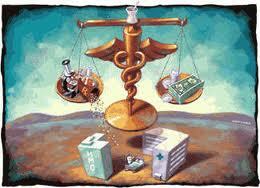 Transparency and accountability are vital parts of healthcare. Health topic-based chats will draw interested participants with his or her own agenda. I’m not sure how you integrate conflict of interest disclosures into your tweets. But it may be a good idea to do. And if a tweet chat you participate in has a financial sponsor, shouldn’t that be disclosed? What if clinical trials are being discussed and the chat is sponsored by the company making the product/device? Tweet chats can be very engaging, and keeping up with the conversation means it’s easy for someone to accidentally share more about himself or herself than intended while caught up in the flow. Sharing health information isn’t necessarily a problem but an otherwise cautious, private person may forget that Twitter is a public forum. In the setting of discussions like #hcsm or #meded, where it’s general conversation but not specific diseases, not necessarily. However, when it comes to attracting people with a certain health condition it may be different. Community is a double-edged sword. It’s fantastic at reducing isolation and allows people to find others with similar concerns and passions. However, it also means that it may amplify some negative aspects of healthcare experience or disease experience that otherwise wouldn’t be as bothersome. Doctors may find themselves more dissatisfied from gravitating toward other frustrated clinicians online than they would if they only interacted with immediate colleagues. Cancer patients may go through more grieving and stress because they’ve magnified their exposure to people with a potentially life-threatening condition exponentially. The dysfunctional potential of pro-ana websites for people interested in eating disorders should be a caveat worth considering. We need to learn more about how the internet frames our health experiences. Should people know that tweet chat participation may be helpful or problematic? What we share online has real meaning, with great potential to catalyze and innovate. But to value health content, I believe we need to be able to assess it honestly and openly. I’ve been involved in helping a new tweetchat #gyncsm for discussions around gynecologic cancer. For that chat I developed a disclaimer to share with each tweetup, which is now posted by one of the founding members. What do you think? Are there other reasons I’ve missed?